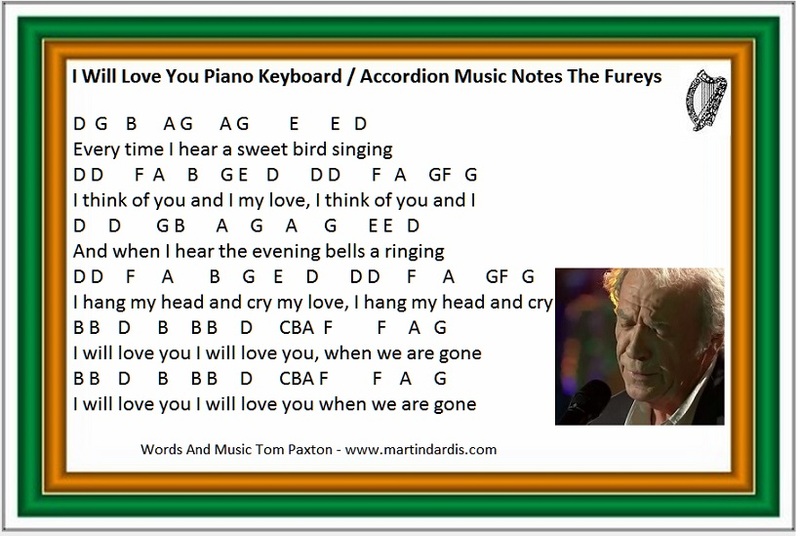 I Will Love You Tin Whistle And Piano Keyboard Music Notes. Written by Tom Paxton and recorded by The Furey Brothers along with Foster And Allen. The key is G Major. Follow the youtube video to learn the song.